Life is about to blossom for Lili . . . In the three years since her husband died in a car accident, Lili has just about managed to resume her day-to-day life as a single mother and successful illustrator. She can now get her two girls to school, show up to work and watch TV like a pro. But there's still the small problem of the aching loss she feels inside. When she's commissioned to illustrate a series of horticultural books, and signs up to a weekly gardening class, finally her life starts to bloom again. The class provides Lili with a new network of unexpected friends - friends with their own heartaches and problems - and, maybe, another chance at love . . .
Whilst still grieving for the loss of her husband after a tragic accident, illustrator Lili is slowly beginning to piece her life with her two young children, Annabel and Clare, back together. Lili takes Annabel and Clare, along with her sister Rachel, to the classes and ends up getting a lot more out of the Saturday morning gatherings than she first anticipated, including some new-found friends, an excellent crop of strawberries and maybe - just maybe - the unexpected affections of handsome class teacher Edward. But is Lili ready to venture into the world of romance after all the heartache she has experienced? Will she ever be ready? And will she finally learn the difference between a weed and a vegetable? 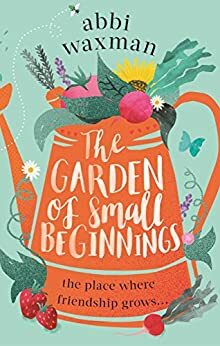 Whilst Abbi Waxman was a new author to me, I absolutely loved the sound of The Garden of Small Beginnings. I was preparing to have a large supply of tissues to hand - something told me this was DEFINITELY going to be a tear-jerker of a novel, but to my surprise (and to my make-up's relief) it wasn't as weepy as I had first feared.In fact it was hugely feel-good, focusing not only on the heartbreak and loss that Lili had suffered, but also on how she gained back control of her life and through the help, love and friendship of those around her, came to realise that maybe she could be happy again, if only she was willing to allow herself to be. Lili was such a wonderful character to read about. Warm, caring, inspiring and with an absolutely cracking sense of humour. She was so easy to relate to and had an absolute heart of gold - always putting others before herself. I desperately wanted her to be happy and was worried at times that she was deliberately putting her life on hold. Watching her journey through heartbreak and seeing her emerge on the other side was a privilege. It was also wonderful to see the change in Lili's demeanor as she grew in confidence, made new friends and took on new challenges both personally and professionally. I loved getting to know the quirky group of supporting characters at the gardening classes, each having their own side stories and bringing their own individual elements to the story. I especially liked the character of Mike, not only for his relationship with Gene but also as he is a classic example of how looks can be deceiving and how easy it is to form the wrong perception of people. Lili's sister Rachel was also a wonderful character; she was hilarious- some of her one-liners were properly lol-worthy, and the love and support she had for Lili was heart-warming. Lili's daughters were also brilliant characters. I particularly liked Clare ("It's done.") and think that we could all learn a few life lessons froem this very witty four year old. The way in which snippets from the horticultural book are interspersed throughout the novel (including cute illustrations) was a really nice touch which I felt gave the book an overall 'cosy' feel. Despite not knowing a lot about gardening, vegetable growing or anything green-finger-related I really enjoyed reading these snippets on how to grow peas, strawberries and garlic etc. I am definitely looking forward be reading more from Abbi Waxman in the future after enjoying this novel so much. 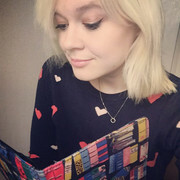 She has a wonderful style of writing which enables her characters to be brought to life in a unique way. 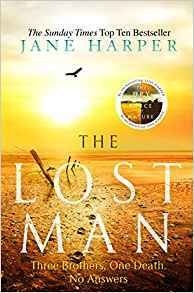 I also loved how she managed to combine humour, love, heartbreak and hope - all within one novel, and despite the book ultimately having a sad backstory, the way in which Abbi illustrates the power of friendship and love is done sensitively and in a heart-filled feel-good way. The only thing that remains for me to do is to firmly cross everything for a sequel. I genuinely cared about these characters and I really want to catch up with them and see how they are all doing. I found myself missing Edward's handsome-ness, Rachel's wit, Lili's humour and Clare's matter-of-a-fact-ness from the minute I turned the last page. Quirky, thoughtful and an all-round cracking read, The Garden of Small Beginnings is one not to be missed. A huge thank you to Clara at Sphere for the opportunity to review.